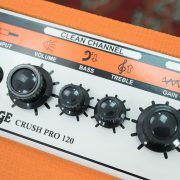 Orange is well known as being the go to amp for anyone who wants distortion. From British Crunch to total filth. What people don’t associate with Orange is a clean sound and let me tell you, Orange does clean pretty bloody well actually and has done since the very earliest days. Remember, “Albatross” by Fleetwood Mac? Recorded using Orange Amps. Let’s take a hard and heavy amp such as the Rockerverb 100. Favoured by artists like Jim Root of Slipknot and Brian “Head” Welch of Korn, you may have the impression that it’s distortion only but nothing could be further from the truth. The clean channel has an extraordinary amount of headroom making it a perfect platform for FX pedals. If FX aren’t your thing and you want chimey, bell like clarity – we’ve got you covered. Orange Amps Technical Director, Ade Emsley who is an afficionado of tone has designed even our high gain amps so that they clean up beautifully on the dirty channel too. Of course, there are all sorts of clean. Perhaps you’re more of an “Edge of Breakup” clean kind of player. Once again, there’s an amp for you in the AD30HTC. Do you need to shape your tone more? OK Check out the TH30. See where I’m going with this? Let’s be honest, an Orange Amp is always going to sound like an Orange Amp and when it comes to crunch and distortion, may I with all due modesty say we’re pretty damned good at it but that doesn’t mean we’re a one trick pony amp company. 2019 has seen the launch of some of the most innovative products Orange has ever produced and guess what – they do clean spectacularly well! The Tremlord 30 is our take on a vintage amp of the 50’s and is so clean, you could eat your dinner off it, while the Pedalbaby 100…Well it’s a power amp. What else would it do? 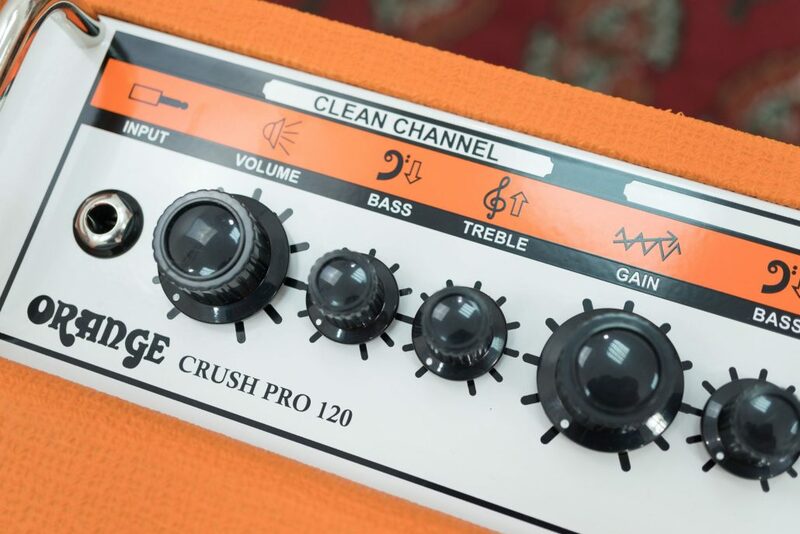 There are many amps out there that do clean superbly well and are better known than Orange for doing so but the next time you’re thinking about an amp for your cleans, bear Orange in mind. You’ll probably be very pleasantly surprised. I love Orange amps. Talk about both looks and personality! Haven’t reviewed one yet on the site, but should be one of the next few reviews we post, possibly the TH30. Rock on!